Roots is offering 40% off all sweater today only! 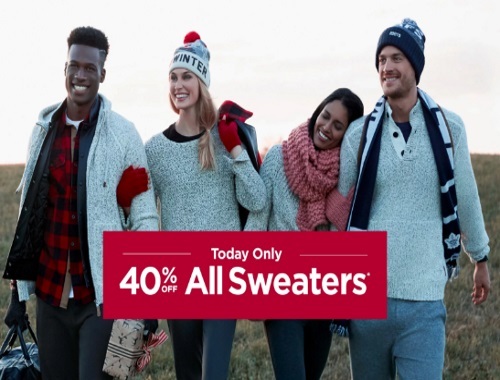 Enjoy 40% off select sweater styles as marked. Valid on in-stock merchandise only. Offer is valid in-store and online on Thursday, November 10, 2016.